It had been raining all week in New York City. But that did not dampen our spirits to see The Mad Caddies at Gramercy Theater. I’ve never been to a show at the Gramercy Theater and we got there early enough to check out the venue. It is fairly small, and interestingly, has theater-style seating in the back. I was not surprised to see that the seats remained filled the entire time. After all, most of the Mad Caddies’ fans (myself included) have aged past the days of being able to skank with the same gusto we could twenty years ago. The first band of the evening was local band, The Jukebox Romantics. Coming off a tour opening for Less Than Jake, The Jukebox Romantics did their best to warm up the crowd on a wet Wednesday. 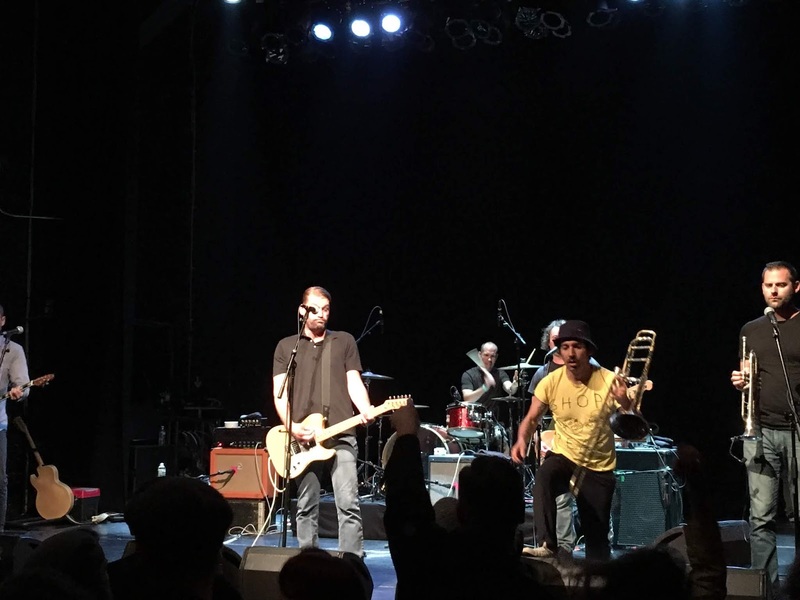 Reminiscent of the earnest, punk bands of the 2000s, the three piece from New York consist of Mike Terry on guitar and vocals, Bobby Edge on bass and vocals, and Michael Normann on drums. They played several songs from their most recent album, Sleepwalk With Me released on Paper + Plastick Records. Their song “Buried With Children” was a clever homage to some classic 80s hits. Next up was another local band (if you consider New Jersey local), called Keep Flying. The boisterous 6-piece includes a saxophone and trumpet, but don’t call them a ska band. Their extremely high-energy music was personified in their performance. I was really impressed by how much energy they had, especially the horn players, who not only sang, played wind instruments (it takes a lot of air folks) AND jumped around on stage. Check out their latest release, Walkabout. Shortly thereafter the Mad Caddies took the stage. Formed in 1995 in California, the current line-up still includes 3 out of the 4 founding members. This was my first time seeing the Mad Caddies, and um - is it just me or does Chuck Robertson look like Jamie Lannister from Game of Thrones? It's a little grainy but come on, you see the resemblance right? They opened with a “Down and Out” from their most recent album, Dirty Rice. It was a slower number but the elbows and knees really started flying when they busted out their older tunes like “Monkeys” from 1998’s Duck and Cover. 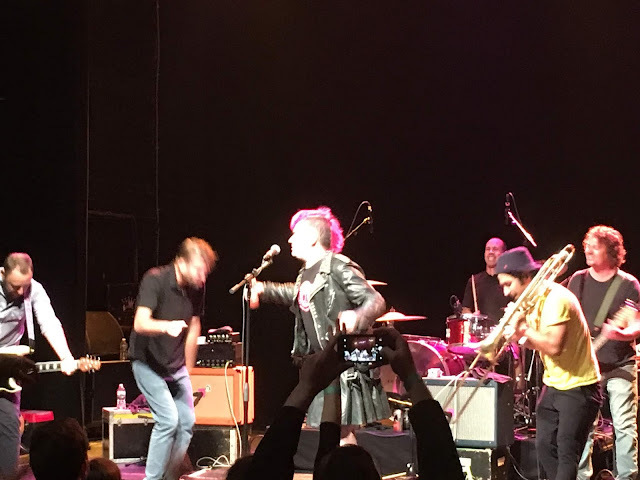 Halfway through their set, they started singing “Whatever Fat Mike wants, Fat Mike gets” and sure enough, Fat Mike joined the Mad Caddies on stage briefly to finish out the tune. The Mad Caddies are touring with Fat Mike as part of his Punk in Drublic tour, which finishes with a 3-day festival June 1-3 in Ohio. The Mad Caddies have been around for more than 20 years, and show no signs of stopping. Sure their songs have mellowed out since their younger, ska-punk days, but it’s clear that the camaraderie and enthusiasm is still there. As long as they keep making music, we’ll still keep coming out to see them perform, even if it means having to sit down between sets.